The photo album “Livländische Schweiz” (“the Livonian Switzerland” in German) was published at the start of the 1880s by Carl Anton Schulz, a Baltic German photographer. Schulz ran a studio in Riga, which also published, among other works, a photographic guide to the Latvian capital in the last couple of decades of the 19th century. The selection of photos below provide an insight into what this beautiful part of the Baltic region, at that time still part of the Livonian Governorate of the Russian Empire (which covered northern Latvia and southern Estonia), would have looked like in the last couple of decades of the 19th century. 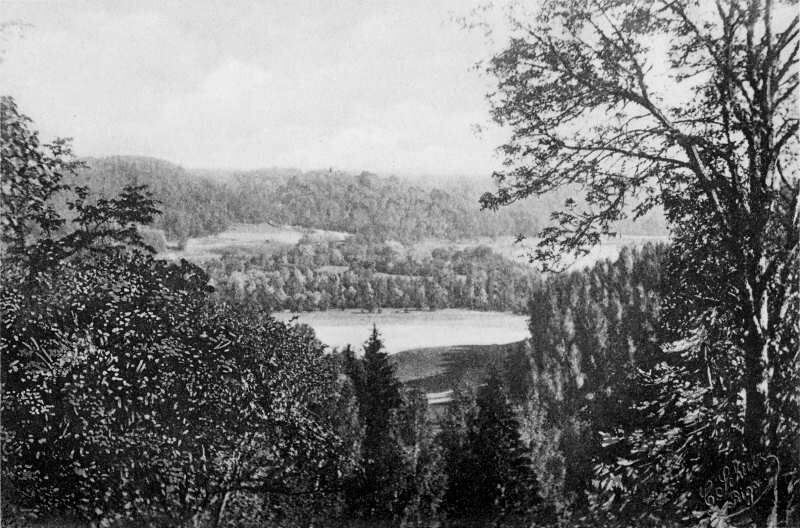 Sigulda only became a resort town following the opening of the railway line from Riga to Walk (today Valga/Valka) in 1889, and the increasing development of hotels and taverns – a ferry across the River Gauja was also instituted. Alpine-type houses, a style popular at that time, were built throughout Livonia, and some of these can be seen in these photos. Adverts for the “Livonian Switzerland” started to appear in publications far and wide, and it became a fashionable place to holiday, drawing visitors from all across the Russian Empire. The Gauja region became a national park in 1973, during the occupation of the Baltic region by the Soviet Union, the first such in Latvia, and only the second in the USSR (following the establishment of Lahemaa National Park in Estonia the previous year). It is now one of four in Latvia.